As we celebrate the opening of the St. Claude/Rampart streetcar, we also need to remember that we have much to do if we want to ever see the world class transit system New Orleans residents deserve. While the average New Orleanian with a car can reach 89 percent of the region’s jobs in 30 minutes or less, if she relies on transit she can only reach 11 percent of the region’s jobs in that same time period. More transit investments and service improvements are a must if we want to provide more access to opportunity for our neighbors who rely on transit and more improvements are a must if we want more people to choose to take transit. This is especially true for our bus network which carries the majority of riders. 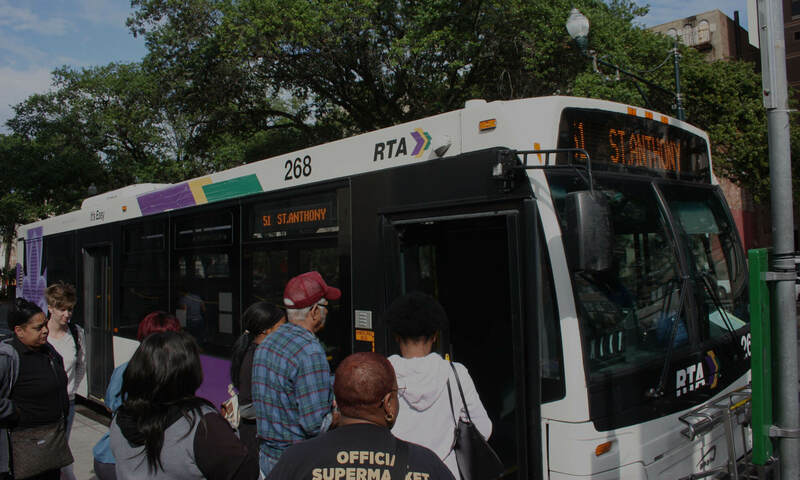 This summer we spoke with current transit riders all along the St. Claude/Rampart corridor to better understand how they use the current system and what sort of improvements they’d like to see. We gathered a handful of our favorite responses–click here. Next PostNext Make your voice heard!